MACMILLAN COFFEE MORNING will take place on Friday 28th September 10-11:30am in the School Hall. We ask that you make a donation and come along to the school hall to enjoy a slice of cake and friendly chat. 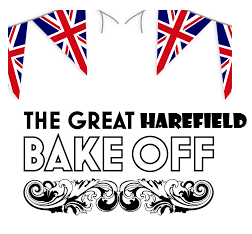 On the same day we will also be holding our first ever Great Harefield Bake Off! This is an opportunity for your children and you (as a family) to showcase your baking skills! The competition will be £2.50 to enter with prizes awarded for 1st, 2nd and 3rd place. On the day all bake off entries need to be in school by midday on Friday 28th for the judging to take place between 1:00pm & 2:00pm when our judges will be ready to taste your masterpieces.